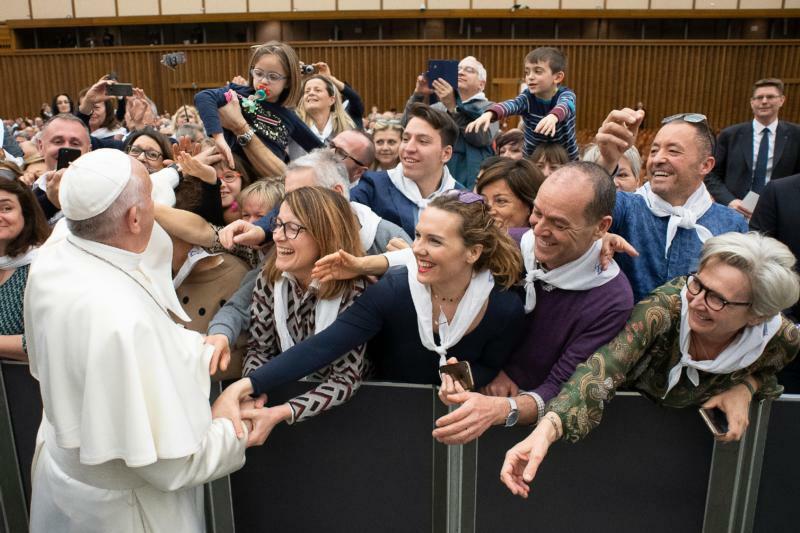 VATICAN CITY (CNS) — Going on vacation or visiting new places should include more than just looking at all the attractions, Pope Francis said. Tourism offers a chance to get to know people and places, to increase mutual understanding and respect, he said March 22 in a speech to members of Italy’s Youth Tourist Center. The center, which is part of Catholic Action, was celebrating the 70th anniversary of its founding. “If I climb a mountain, not only must I keep within the limits that nature imposes, I must respect it, admiring its beauty and safeguarding the environment,” he added. He asked the young people also to reach out to peers who seem unmotivated or disillusioned. “Perhaps because of the pessimism around them, they do not dare fly high, but they settle for survival or just eking by” as if they had already “gone into retirement,” he said. “Sharing free time” with other young people in need could be the “key to unlocking the door of many young people, creating bonds of friendship capable of carrying authentic values and the faith,” he said.